Look out for our delicious Banana Lunchbox Loaves! Find us in the bakery aisle. I like cool, dry places best. Eat me on the day of opening or if you want to save me for another time, just pop me in the freezer. Use me within 3 months of freezing, and make sure I'm fully defrosted before you take a bite. Nibble me daintily or eat me all in one go - I'm delicious YUMMY on my own, there's no need to add butter. 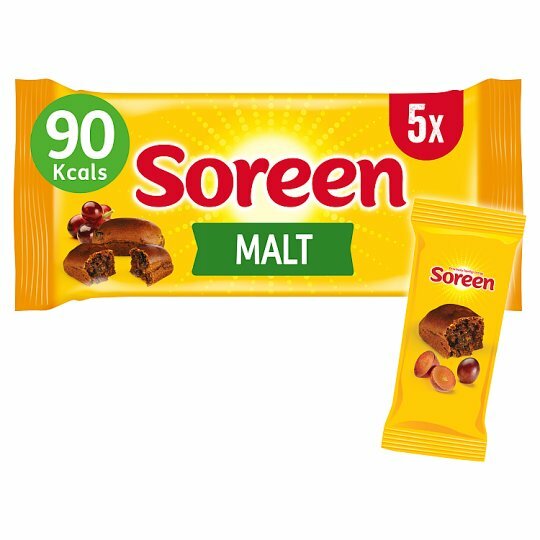 I was perfect when I left the Soreen bakery, but if I've lost my squidge (or fallen short in any other way) then please get in touch. Warning: Although every care has been taken to remove all fruit pips and stalks, some may remain.